How To Buy The Best Home Cinema System - Which? The best surround-sound home cinema systems bring the immersive cinema experience into your living room. We show you what to look for when buying a home cinema system. 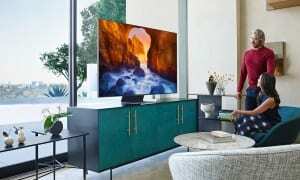 It is possible to buy a modern TV with decent sound quality, but if you want a truly immersive experience you'll probably want to invest in some dedicated speakers. 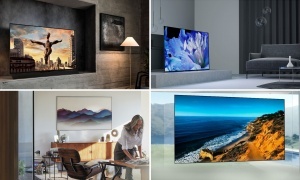 Home cinema systems offer a complete and wide-ranging solution - from compact to beefy, two speakers right up to seven or more, and wired or wireless connections for a tidier finish. 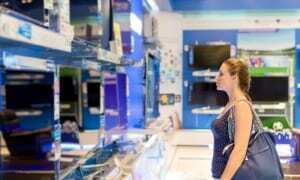 Read on to learn more about home cinema systems so you can buy with confidence. 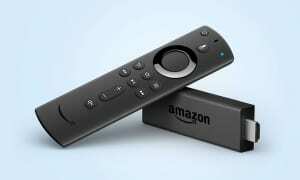 Ready to improve the sound from your TV? 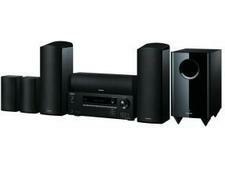 Click here to see all our Best Buy home cinema systems. 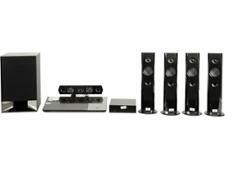 What makes a good home cinema system? The best home cinema systems deliver top-quality audio, clear dialogue and realistic surround sound effects. Home cinema systems that deliver great surround sound quality help make you feel fully immersed in a film. Clear instruction manuals and auto set-up modes take the hard work out of setting speaker levels and delay times to suit your living room. If the amount of cabling is an issue, look for a system with optional wireless speakers. Once set up, your home cinema system needs to be a breeze to operate. Look for a home cinema system with easy-to-control features and a well laid-out remote control. 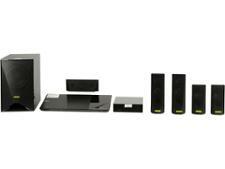 These are the easiest way to get a home cinema system. They contain everything you need to get started; the amplifier, speakers, cables and instructions on how to hook it all up. A DVD or Blu-ray player may also be included. Packages are available as 2.1, 3.1, 5.1 and 7.1 systems. The numbers represent how many speakers and subwoofers each system has, for example a 5.1 system would include five speakers and one subwoofer. You can buy the components of a home cinema system separately – amplifier, speakers, a subwoofer and a DVD or Blu-ray player. This bespoke route may appeal to the home cinema enthusiast wanting to perfect their set-up. It's also easier to upgrade different components over time. Buying separates is, however, more expensive. Sound bars cram several speakers into a long bar-shaped box that’s mounted below or alongside your TV. The sound to each speaker is then electronically processed in order to recreate a virtual surround-sound effect despite the lack of rear speakers. Although Which? tests on sound bars have revealed they don't create the surround-sound effect as well as home cinema systems, Best Buy sound bars are still a good option if you have limited space. We review home cinema systems and soundbars so you can see what separates a good speaker system from a bad one. Check out all our home cinema system reviews to find the best surround sound around or head straight to our soundbar reviews. A basic home cinema set-up is the 2.1 system, which sees two speakers placed to the left and right of your TV set, and a subwoofer placed elsewhere in the room to add some oomph to the bass. A 3.1 system adds an extra front speaker that helps boost the sound of dialogue. You won't get true surround sound with either of these systems, but you should experience a significant improvement compared to built-in TV speakers. These deliver full surround-sound with three front speakers, two rear speakers, a subwoofer and usually a DVD and/or Blu-ray player. A 7.1 system adds two more rear speakers to the 5.1 layout. However, the challenge of fitting so many speakers into your room means this type of system is only for the true home cinema enthusiast who has the space and budget to suit. Ditch all the speaker cable snaking round your living room by opting for a system with wireless rear speakers. These use a radio transmitter so the rear speakers can receive sound from the amplifier, although they still need to be connected to the mains for power. How else can I get better sound when watching movies? Blu-ray players not only let you watch movies in stunning high definition through a HD TV, they can also deliver high-quality digital surround sound when connected to a home-cinema system. If you don't already have a Blu-ray player, consider buying one of our Best Buy Blu-ray players or a home cinema system that includes one. You can also hook up your games console to a home-cinema system for the ultimate gaming experience. Consoles like the Microsoft Xbox One and Sony PlayStation 4 support Dolby digital surround sound, and many games have full surround-sound tracks to accompany the on-screen action.